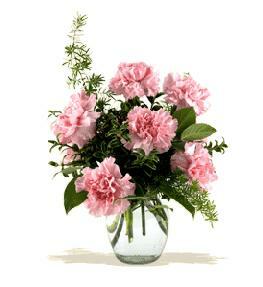 Perfect gift for those who have their own vase. 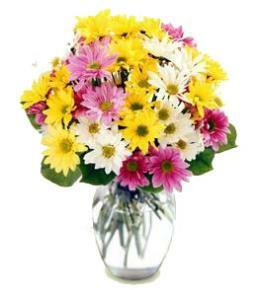 Send any message with the greatest impact with a bouquet of cut flowers. Choose an add on large card to make your message more meaningful. Other add ons include helium balloons, chocolates and teddy bears. 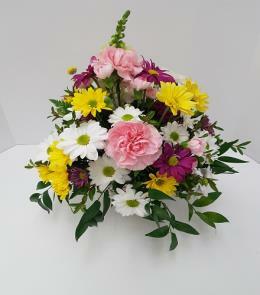 Hand made by the local florist. . Euro Style Hand Tied Cut Bouquet - Seasonal Cut Flowers. 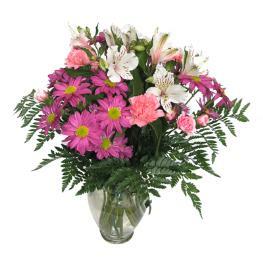 Florist Notes: Bouquet of Seasonal Cut Flowers Delivered gift wrapped or boxed. Vase not included. 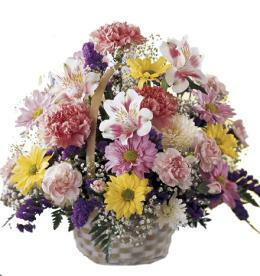 You may ask for certain colors and flowers which will be filled if available. 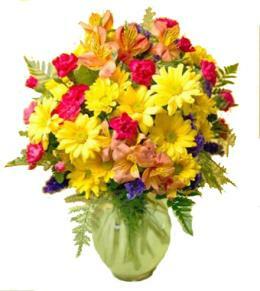 Delivery widely available.